This lens cloth features a variety NZ Native flowers such as the Mount Cook lily, Chatham Island forget-me-not, Kowhai, Kidney fern, and Pohutukawa. It is perfect for cleaning glasses, sunnies, laptop screens, tablets, phones and more. 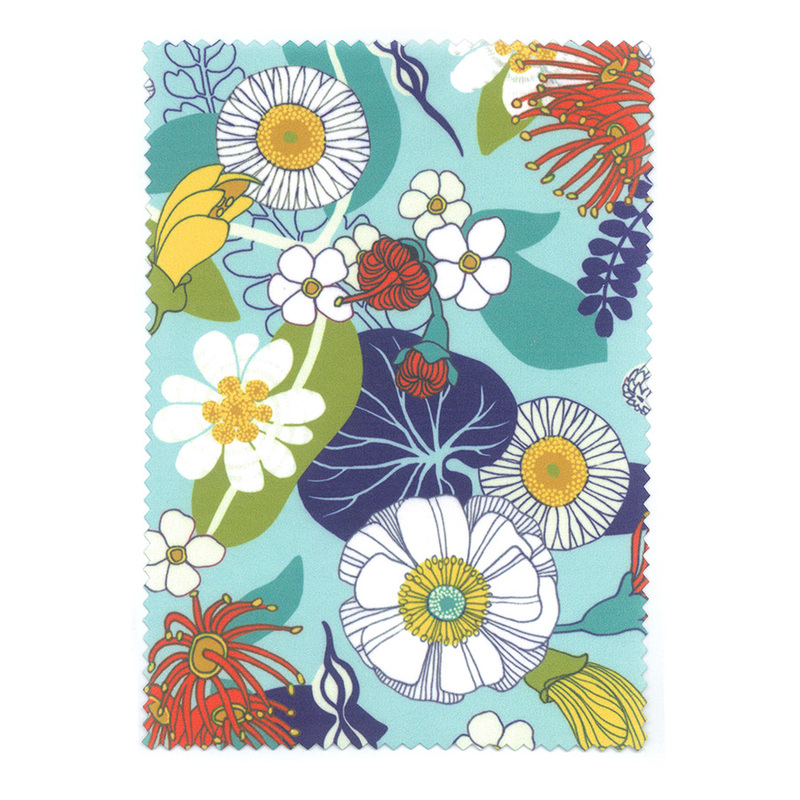 This Wolfkamp & Stone lens cloth features a variety NZ Native flowers such as the Mount Cook lily, Chatham Island forget-me-not, Kowhai, Kidney fern, and Pohutukawa. It is suitable to clean all types of lenses and screens. Perfect for cleaning glasses, sunnies, laptop screens, tablets, phones and more. Designed in New Zealand by Tanya Wolfkamp and Henri Stone.With backgrounds in textile design and illustration, Waiheke’s dynamic duo work rich colour and subtle texture into a broad range of styles from fresh and contemporary to the unashamedly traditional. New Zealand’s unique flora and fauna provide endless inspiration for their distinct patterns and compositions. Comes in a clear plastic envelope, making it an ideal gift for posting. It measures 12 x 17cm.